On Crawford St.: Got A Little Free Time This Weekend? Head To The Junction Flea! Got A Little Free Time This Weekend? Head To The Junction Flea! 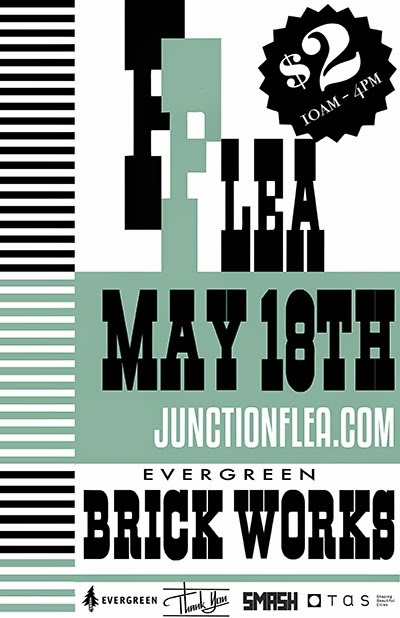 Good news, The Junction Flea is back! That's right, the outdoor market is kicking off the 2014 season with it's first Flea of the year at the Evergreen Brick Works. Head East, via the free shuttle, and spend the day perusing a mix of independent vendors selling antiques, handmade craft+design, food, vintage clothing, records and more. Click here to check out our first trip to the Junction Flea, way back in 2012!